Digitalization is here and changes the Shipping Industry. 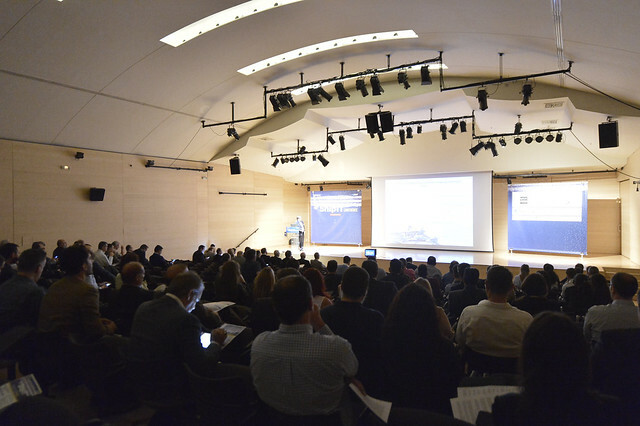 That was the conclusion of the 4th ShipIT Conference 2018, which took place on Wednesday, September 26, 2018, by Boussias Communications in collaboration with AMMITEC at the Benaki Museum Amphitheater. With the participation of 238 executives, the 4th ShipIT Conference effectively confirmed the conference as an institution in the field of maritime technology. What are the next trends in Information Technology and Communications in Shipping and vice versa? The Shipping industry is currently operating during a transitional period due to a variety of economic and geopolitical factors affecting prices, newbuilds, and transportation. At the same time, ICTs are revolutionizing the shipping industry, transforming existing operations and opening new business opportunities; digital technologies are being rapidly adopted and data driven services and analytics are being brought to the forefront of the priorities’ list. The digitalization process taking place in every area will also determine the future of shipping. The changes will affect the structures and business models of the industry as well as production. The new technological means to process masses of data and link them intelligently with algorithms make possible an entirely new level of communication and networking. It is now more than obvious that digital technologies are enable of greater performance, efficiencies and effectiveness and shipping industry is networking into a complex technological system through the exchange of data and digital platforms. On the other side, there are numerous risks that need to be identified, understood and mitigated to make sure that technologies are safely integrated into the shipping operations and strategic design.